Shoreline Ringers was represented at “Celebrate the Arts” at Northeast Academy in the Groton, CT school system with our director, Jane Nolan, leading three 4th grade classes in hand chime workshops. 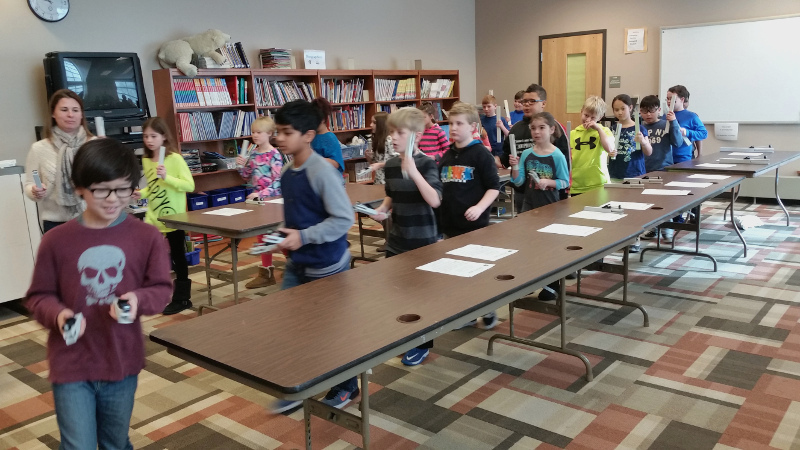 Twenty two students all playing hand chimes at once with big smiles on their faces. It doesn’t get any better!